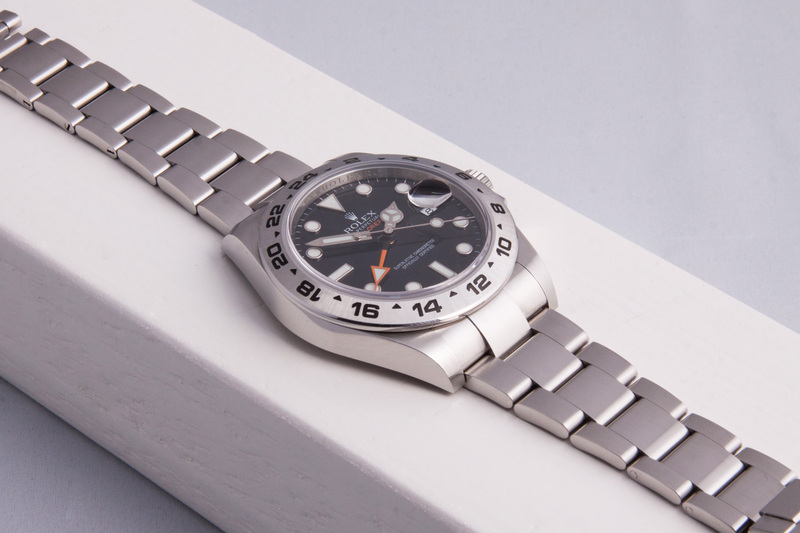 It’s probably one of the most imaginative Rolex watches out there, the Explorer II ‘Orange Hand’ The watch was initially developed in 1971 by Rolex as a true tool watch, a watch for Speleologist and worn by adventurers and mountaineers. The watch that was part of several missions on the Arctic and Antarctic and which complimented the wrist of the King of Cool; Steve McQueen! At birth, the Explorer II was a true precision tool for scientists who were partially dependent on the watch worn on their wrist. Such as the Speleologists whom were forced to spend days on end underground to carry out various studies, by doing so they quickly lost the sense of day and night. At that moment, the Explorer was a useful and very welcome tool. Thanks to the steel 24-hour bezel and bright orange hand, one could easy determine in which part of the day they lived and therefore maintain a healthy work and sleep schedule, which was not only important for human health but also for the various studies and missions. The reference 216570 which we’re offering here is the modern version of the ‘Orange Hand’ and some parts of the design have changed since the 1970’s. 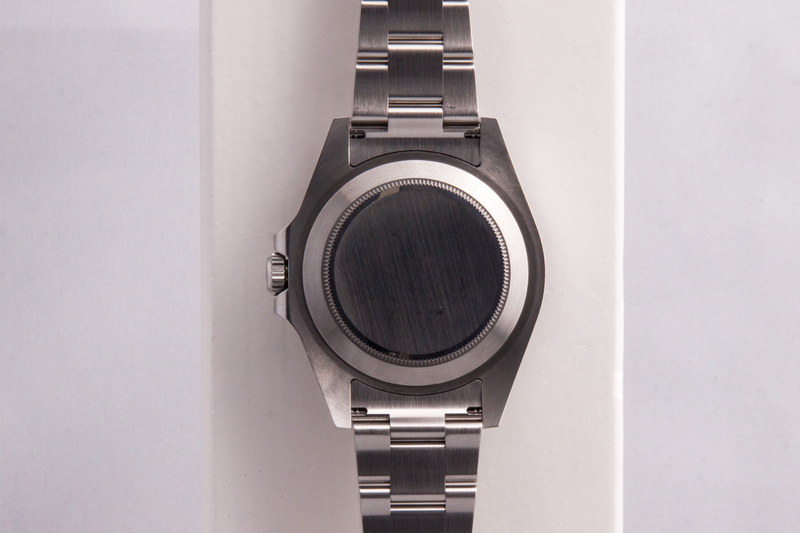 The watch has grown a bit, the diameter of the case measures 42mm now. 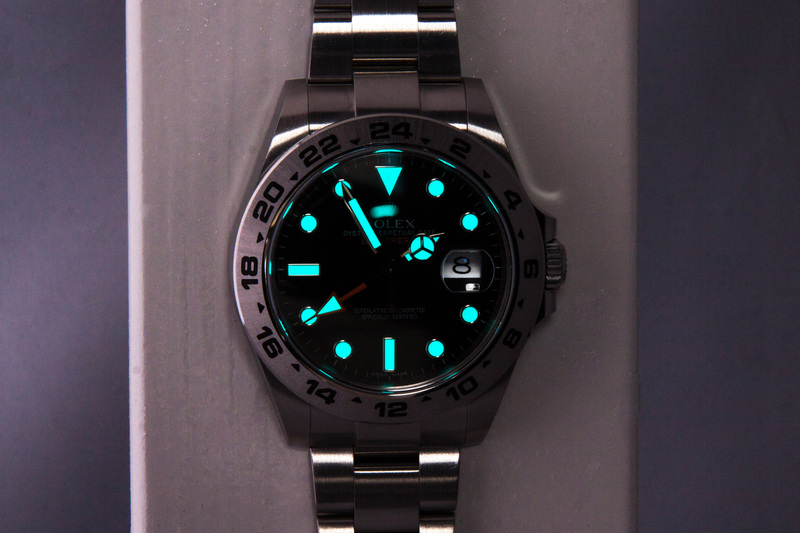 The indexes are surrounded with white gold and filled with Rolex’s pattented blue Chroma Light which guarantees a very good readability in low light and dark conditions. The hands have become larger and also filled with blue Chroma Light. If you look closely you will see that the base of the hands are black, this makes the hands seem as if they float above the dial, a great detail! The Oyster Band of course is of the latter type and equipped with the Easylink adjustment in the folding clasp, this quickly shortens or lengthens the bracelet by 5mm. 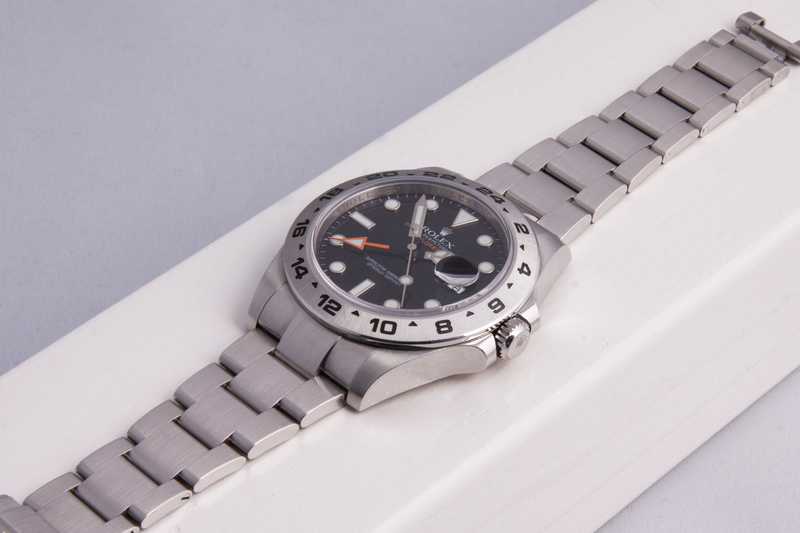 In short; A high quality Rolex (Tool) watch! 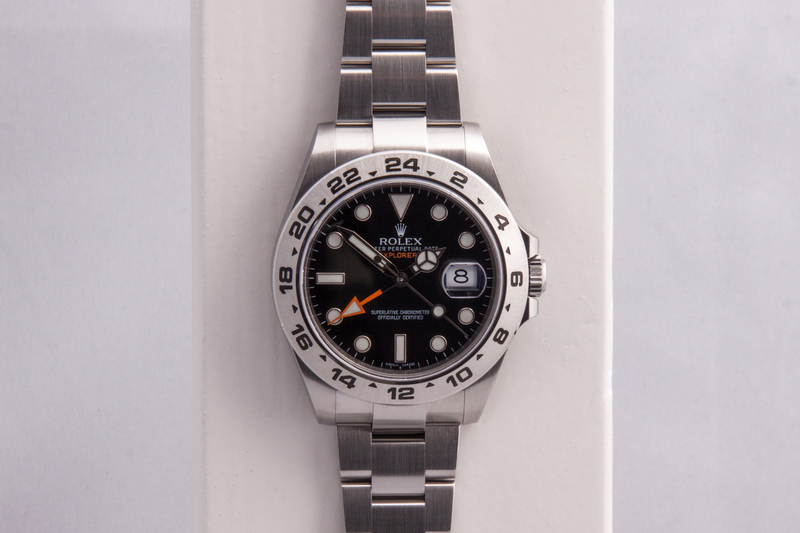 This Explorer II was sold by Rolex retailer Wempe in Germany, back in 2012. 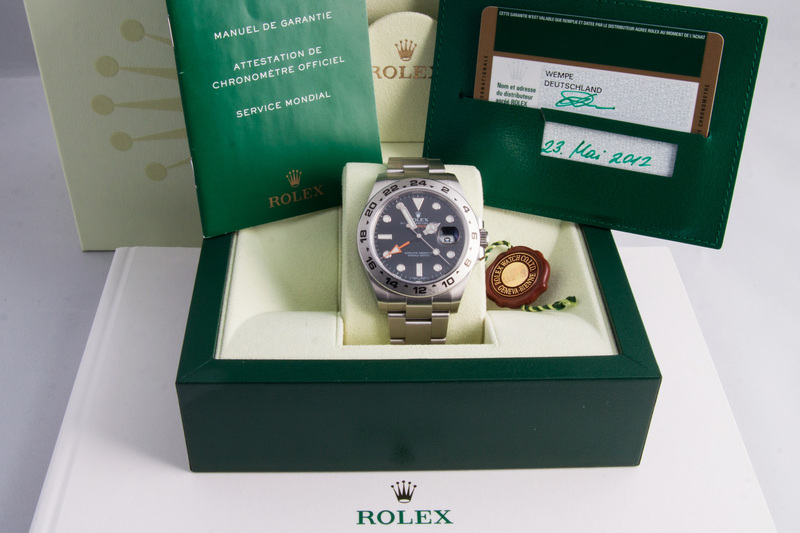 The watch comes with the original boxes, manual and warranty card and is fully inspected by our watchmakers and comes with a one year warranty.